Keep your beverages cool this season with branded Champagne Buckets. This beautiful cooler is great for parties, exhibits and any kinds of event where your drinks are welcome. It helps keep your champagne cool during the hot weather. Branded champagne buckets are a great way for customers to try out products to drink. As a POS or in store display, it makes beverages accessible to those consumers ready to try them out. It also allows business owners and retailers to bring more of their refreshments to their stalls to maximize the limited table space. It’s also an excellent promotional gift or a GWP as it encourages people to buy more of your champagnes. With this, consumers can serve your beverages to their friends and family during any indoor or outdoor recreations. 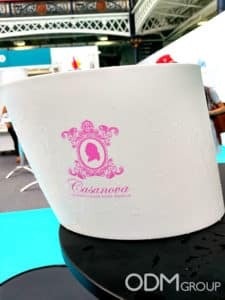 These ice buckets can also be customized to fit your products, either to make it more classy or stylish. 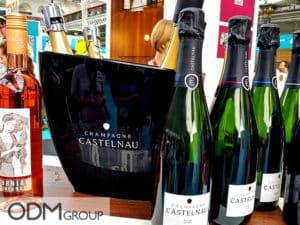 With Champagne Castelnau, they’ve decided to show grandeur with its champagne buckets, with a minimalist design and choice of color. 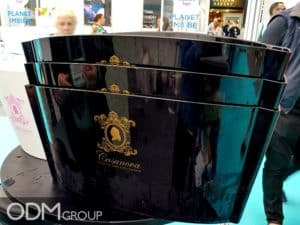 Other brands chose to go with a more stylish look and feel, such as Cassanova Prosecco. With their focus on appealing to women, by pairing feminine colors and creating a curvier form. Some branded champagne buckets are built for practicality. Stanford Orchard included handles on each side to provide ease in carrying plenty of alcoholic beverages. 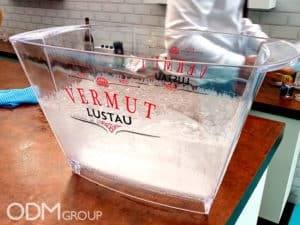 On the other hand, Vermut Lustau chose to make their bottles more visible inside the bucket. 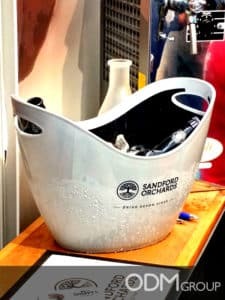 The branded champagne buckets don’t just go well with alcoholic beverages, it also works with other kinds of refreshments. Take UK’s Feel Good Drinks for example. 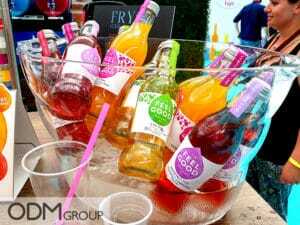 Their fruit drinks work well with the fun and exciting vibe that the product brings. Why do we love the branded champagne buckets? Boost sales. With the help of the branded champagne bucket, you can entice customers to buy your products that have been kept cool and fresh for them. Design appeal. Sleek and stylish, this item will grab the attention of any customer and have them curious about your brand and product immediately. Enhances brand visibility. It can be difficult for customers to read your bottles from afar. With the champagne bucket, people will be able to take immediate notice of your beverages. Some customers like their wines, champagnes and other alcoholic beverages warm; while some, like it cold. So why not cater to both by bringing branded champagne buckets to your promotional campaign! If you’re looking for a new branded champagne bucket, let us know and we’ll find the best item to match your brand.